This is the 1986 Booker Prize winner and my second Booker book this month. I guess I’m finally on a bit of a roll. 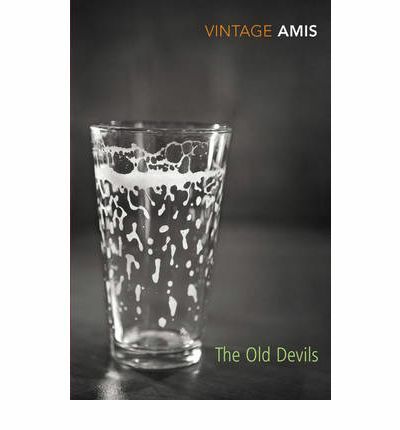 This is also my first reading of anything by Kingsley Amis and I have to confess that it may well be my last. Frankly, if this is what gets you into the top ten, I’m not sure what it would take to get you in the bottom ten. Can you tell it didn’t resonate with me? The premise of the book is the return to their homeland of Wales by Alun and Rhiannon Weaver and the ructions this causes in their old circle of friends. Alun is a writer in the tradition of Brydan, who must be Dylan Thomas fictionalized, and a professional Welshman, being called upon to speak on television and radio whenever a Welsh view is called for. All the characters are 60-somethings and have had many relationships amongst themselves. In fact, at one point you begin to ask yourself who might not have slept with whom. I found the whole thing fairly unpalatable and unsympathetic. There is humour to be found, poignancy too. It could be seen as a haunting view of what retirement can bring to people – lots of daytime-to-nighttime drinking in order to fill in the time, a giving up of the idea of living the life you hoped for in your youth, and generally becoming so lethargic that you willingly put up with a spouse you are happy to cheat on. Adultery and alcoholism permeate the book, as does a feeling of hopelessness. It is only slightly relieved by cutting humour, and occasional light humour. I have to also confess that it began to read better once I had indulged in a couple of glasses of sauvignon blanc myself. Perhaps it was written for those who have the edge taken off their faculties? Eventually I began to sympathise with a couple of the old codgers, and I do have to say that some of the actual writing was very well done. There are a few one liners that bring a smile to the face and a few descriptions that are very evocative if unsavory. Here’s one of my favourites, a description of part of the character Peter’s morning routine. By way of explanation, Peter is very obese, and Muriel is his domineering wife. So, as you can see, the highlights are not really that high. I do have to wonder if it is just me, but I can’t see enough in this book – either theme or writing style – that really warranted it being a prizewinner. “not highly recommended at all.” I LOVE that line!